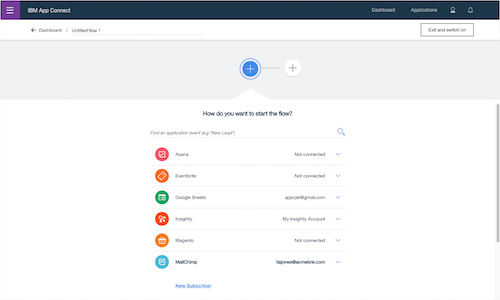 Use App Connect to connect your different applications and make your business more efficient. 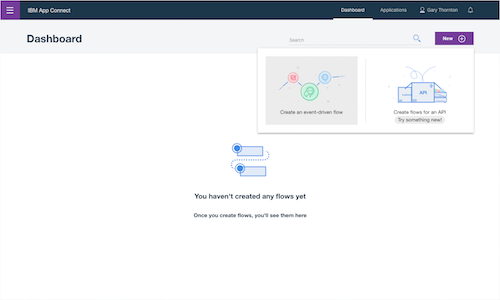 Set up flows that define how data is moved from one application to one or more other applications. 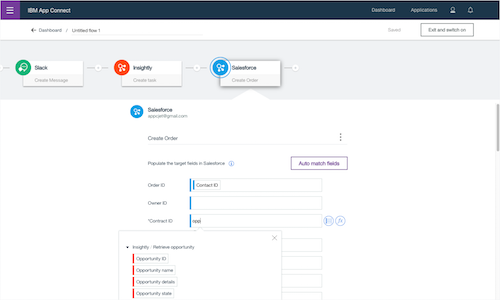 App Connect supports a range of skill levels and interfaces, giving you the flexibility to create integrations without writing a single line of code. You can use a web user interface or drop resources into a toolkit that gives a broader range of configuration options. Your entire organization can make smarter business decisions by providing rapid access, visibility, and control over data as it flows through your business applications and systems from a single place - App Connect. 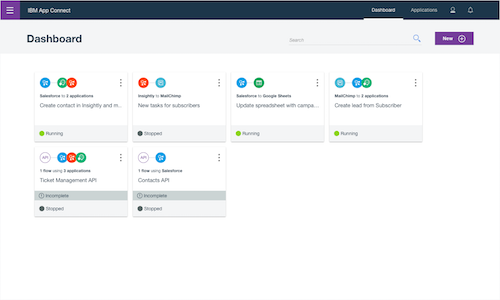 Replace tedious, manual tasks and boost your productivity with App Connect. 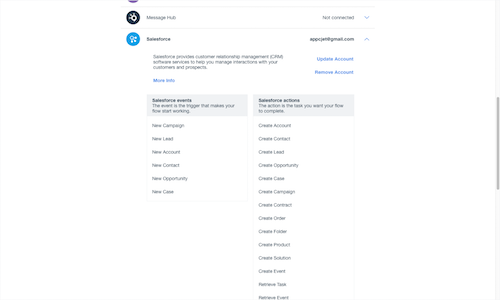 Use event-based triggers to keep you and your applications informed about the events you care about. Spend less time getting your apps to work together, and more time deriving insight from data and delivering value to your customers. Connect your applications in minutes. 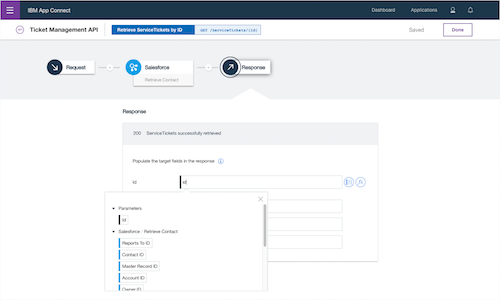 Select from preconfigured events and actions to match your workflow. Visually map and transform one application’s data to another. Keep customer and other vital data in sync between multiple apps. 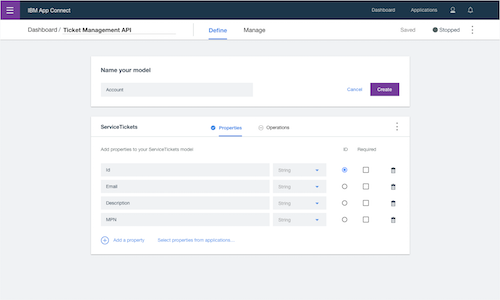 Enable developers to build engaging mobile and web applications quickly by exposing flows as RESTful APIs. Starting with the model you want to use, implement operations in minutes without writing a single line of code. 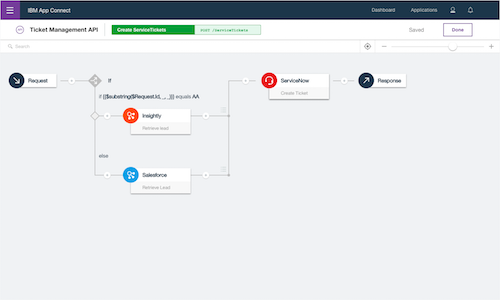 Build intelligent flows for events and APIs that process data in a predictable and reliable way. 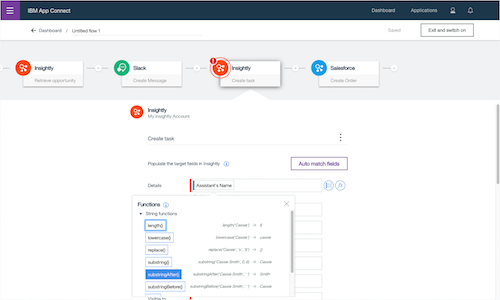 Using conditional logic, define multiple execution paths and error handling to match your business use cases. The Enterprise-enabled plans offer a powerful, standardized, flexible integration foundation that helps IT teams support business needs and scale with growth. 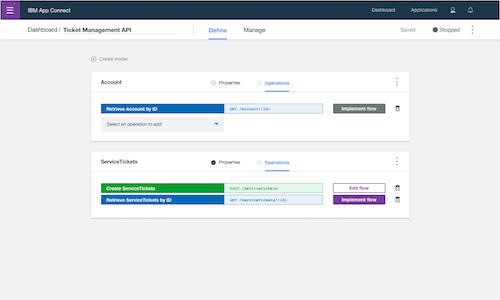 App Connect Enterprise is the successor to IBM Integration Bus on Cloud and enables you to deploy and manage integrations across an enterprise from a single dashboard. Take advantage of different plans to suit your integration needs and skill levels. 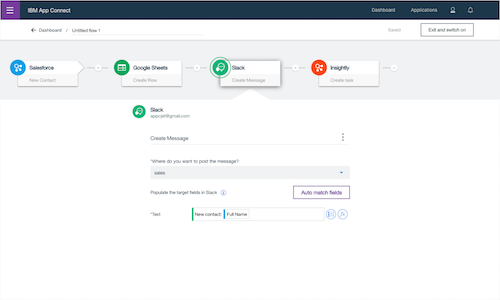 App Connect ensures a controlled but friction-free experience between different users, securely encouraging collaboration to facilitate better business outcomes.